Scratch-made sauces add special touch to delicious entrées. Bluefin Grill & Bar is a tantalizing treat for the taste buds and the eyes. Its contemporary and classy décor is very appealing in colors of turquoise and gray, and the elegant cocktail bar and spacious and comfortable dining areas both indoors and outdoors add to the ambience, making the restaurant an ideal spot for a date for two or a gathering with friends. The enticing aroma of steak was all it took for me to order a petite filet with shrimp, which was topped with a delightful creamy tarragon butter sauce. My entrée came with tasty garlic mashed potatoes and grilled asparagus that was cooked to perfection, and our server, John, made it more memorable by presenting a tray of high-quality steak knives from which to choose. 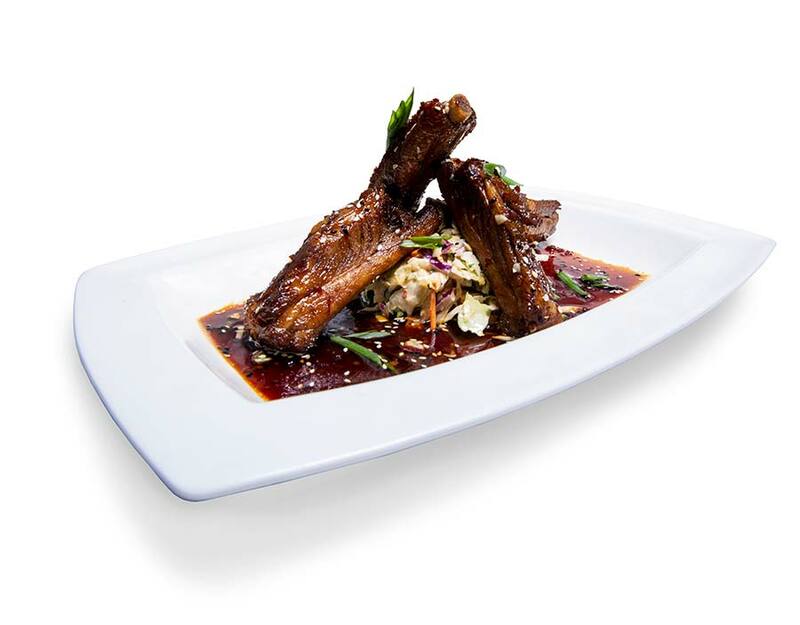 Before we received our entrées, we savored sweet sticky ribs as an appetizer, and finished our meal with bourbon pecan pie and vanilla bean crème brûlée. The desserts were the crowning touch to a very enjoyable lunch. Hours: 11am-9pm Sunday-Thursday; 11am-10pm Friday-Saturday. OUT OF THE ORDINARY STARTERS: ($8.20-$14.10) Wild mussels, sweet sticky ribs, Coquille St. Jacques scallops, conch fritters, Bluefin tuna poke. ENTREES: ($10.80-$22.90) Ahi tuna pepper steak, mustard-encrusted salmon, Bluefin pescatore, wagyu burger, swordfish.